I figured I'd at least make it a good one. 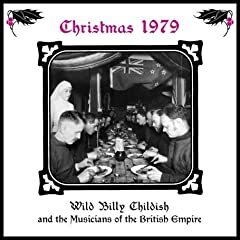 This one is from legendary garage rock musician Billy Childish, and his new band, The Musicians of the British Empire. I'm not sure what to say about this one. It's entirely self-explanatory, which is part of its charm. Either you know about Billy Childish, or you will soon.